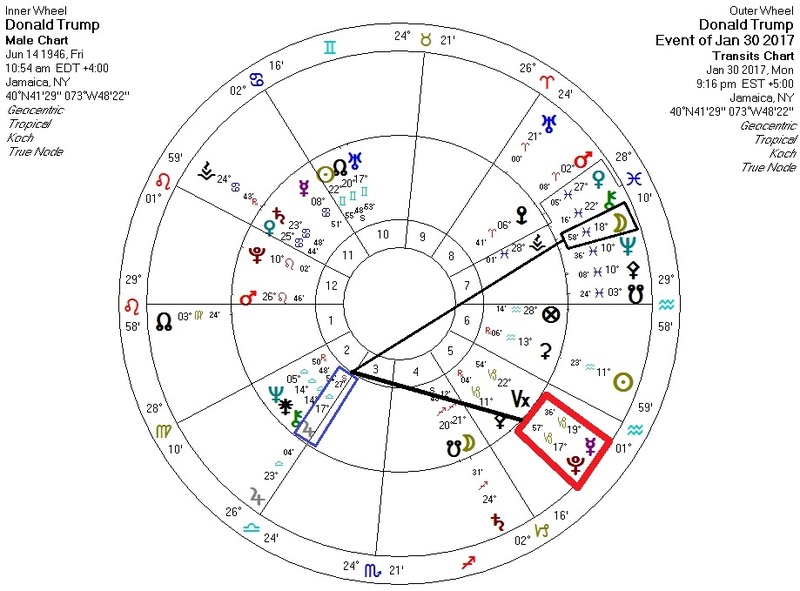 Against Trump's chart, transiting Pluto (death/change) is square his Jupiter (law), and the Pluto transit is triggered by Mercury and the Moon. 2018 Note: not pictured here, transiting Ceres (removal) at 28 Aries is trine Trump's Ascendant, Mars, and progressed Sun. We will see Ceres active during the many times Trump will fire or lose staff.